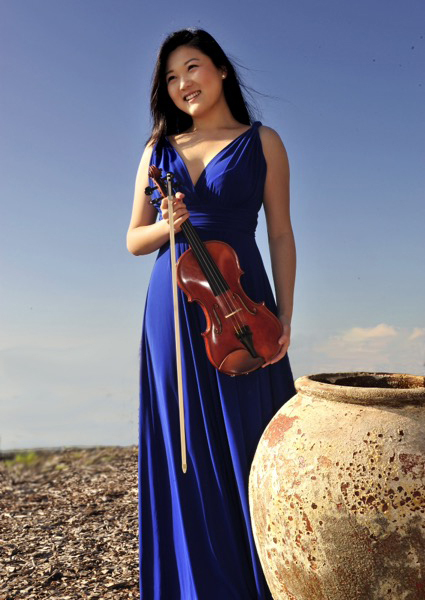 Australian violinist Emily Sun is rapidly gaining international recognition as a rising soloist. She is the winner of all major Australian violin competitions, including the coveted Symphony Australia Young Performer of the Year Strings Award. 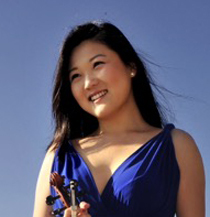 She has won all available prizes at the Royal College of Music including the Violin Competition 2012 and Concerto Competition 2015, and is a prizewinner in many international competitions including the, 2013 Brahms International Violin Competition Austria, 2014 Rodolfo Lipizer International Violin Competition Italy and 2016 Royal-Overseas-League Competition UK. She was recently selected for The Tillett Trust Young Artists Platform and Worshipful Musicians Company Maisie Lewis Award. Her performances have been broadcast on Australian radio stations, ABC Classic FM and 2MBS Fine Music Station, Israeli Classical Music Station ‘Kol Hamusica’, New York’s ‘WXQR’ Classical music station and UK’s BBC Radio 3. She has performed as soloist in international venues such as the Sydney Opera House, Jersey Opera House, Tel Aviv Israeli Opera House, Moscow Tchaikovsky Great Hall, Auditorium du Louvre Paris and London’s Cadogan Hall, Wigmore Hall and Elgar Room of the Royal Albert Hall. 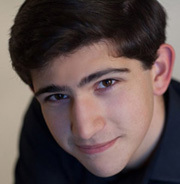 Emily has participated in international masterclasses and festivals, such as Keshet Eilon International Mastercourse in Israel, and the Young Artists Program in Canada, and is mentored by world-class musicians such as Haim Taub, Ivry Gitlis and Pinchas Zukerman. She graduated Bachelor of Music with First Class Honours at the Royal College of Music London and is continuing her postgraduate studies with Professor Itzhak Rashkovsky as a Dasha Shenkman Scholar supported by a Big Give Award. She is an Arts Global and Talent Unlimited artist and is supported by the Countess of Munster Musical Trust, Ars Musica Australis, Hattori Foundation, Australian Music Foundation and the Marten Bequest Travelling Scholarship.